With interest rates at rock bottom, and bonds looking arguably overpriced, what are the alternative sources of income available to investors? The global financial crisis accelerated a move away from relying on banks towards new forms of alternative lending, many now accessible via investment trusts and open ended funds. Of huge interest to professional investors and intermediaries as well as their clients, AltFi is seeking to educate the market of both its attractions and risks, focusing on both direct investing via platforms or through fund structures. 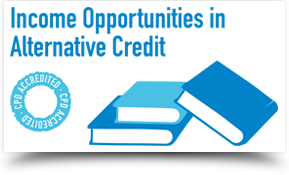 Our second Alternative Credit seminar will provide a thorough data-driven exploration and analysis into one of most interesting and fast growing areas of fund management. The budding universe of funds within the Alternative Credit universe includes areas of the market such as direct lending, asset leasing, mezzanine debt, peer-to-peer lending and SME loans. After a successful event in London on 8th February, which brought together an audience of wealth managers, family offices, hedge fund managers, funds-of-funds managers, portfolio managers and other professional fund selectors and financial advisers, we will again tackle the subject in Edinburgh. 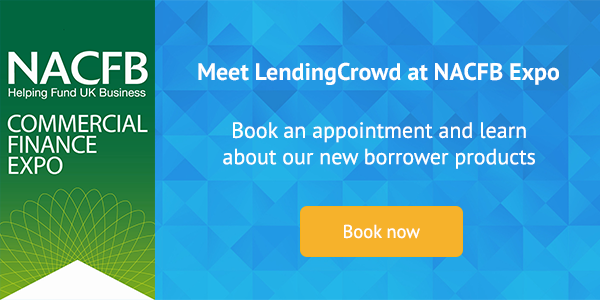 It’s that time of the year again and the LendingCrowd team will be out in force at the NACFB Expo on 21st June at NEC Birmingham! As an NACFB patron we are excited to be attending this event. We will be profiling new lending products and the launch of our broker portal on the day. You can pre-book an appointment with Riley or Thomas or visit us at Stand B03 to find out more. We look forward to seeing you. If you haven’t yet decided to attend the NACFB EXPO you can find out more about the event here. LendingCrowd's CEO is the host for April's Start Up Grind seminar. Start Up Grind hosts LendingCrowd CEO Stuart Lunn as its guest speaker. Stuart (along with business partner Bill Dobbie) launched LendingCrowd in January 2014 in Edinburgh. LendingCrowd is Scotland’s first specialist peer-to-business crowdlending platform, providing UK small and medium businesses with loans from multiple investors across the country. Prior to this, Stuart worked as an equity analyst covering the UK technology sector and worked for a number of top firms in the City of London, including Collins Stewart and Cenkos. Stuart advised a broad range of companies, including those in the Internet, software, hardware and telecoms sectors and was also involved in a number of fundraisings on the AIM market. He is also an investor in a number of early-mid stage technology and Internet companies. #BWSLiveEvent helps promote women in business and those looking to set up their own company. We have talks and discussions, focusing on organisational development, managing culture and change, coaching and leadership development. We will talk to some women that have climbed the career ladder and will share the obstacles they have overcome. The time is right for women to be able to fully take up their role in organisations, responding to the Scottish Government’s 50/50 by 2020 initiative for board gender balance. The #BWSLiveEvent is aimed at women in management, leadership or professional advisor roles within organisations, and women running their own businesses, new or established. #BWSLiveEvent helps to encourage a pipeline of women to take the next step up in their careers. #BWSLiveEvent is an engaging event and helps to develop women as they prepare to move into leadership roles, developing leadership capability for your career or for you to manage others in your own new business. #BWSLiveEvent is a one day event, with informative speakers and discussions, offering women the opportunity to learn together and connect with other like-minded women in business. For SMEs in Scotland, the transformation from an early-stage to a mature and successful business can be extremely challenging. With traditional debt and equity funding difficult to access for young companies, alternative finance – usually sourced through crowdfunding platforms – is increasingly being used to drive forward businesses with high-growth ambitions. One of the broader challenges is matching businesses with investors to plug gaps in both the supply and demand of finance to support SME growth. This event – targeted at established businesses looking to scale up – will hear from a range of experts about the benefits of alternative finance. It will also look at a wider range of issues affecting SMEs, including exports, e-commerce and how to overcome the variety of challenges facing businesses wanting to scale up. The ultimate aim is to help them compete in UK and international markets. The scramble away from fixed income in recent years by institutional investors has prompted the growth of a new asset class: Alternative Credit. 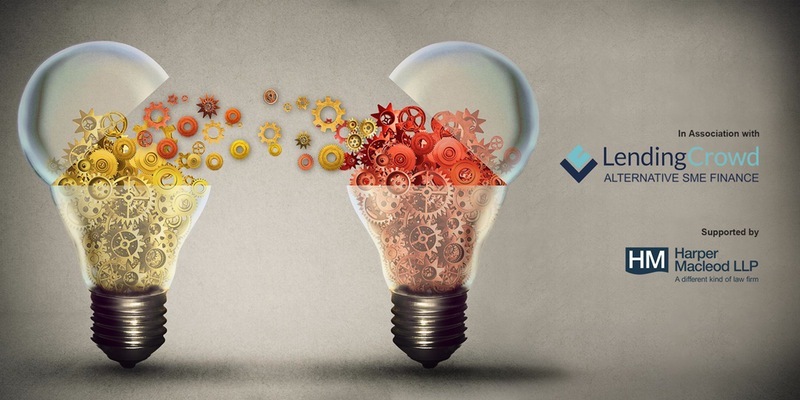 AltFi’s inaugural Alternative Credit seminar will, over the course of a morning, provide a thorough data-driven exploration and analysis into one of most interesting and fast growing areas of fund management. 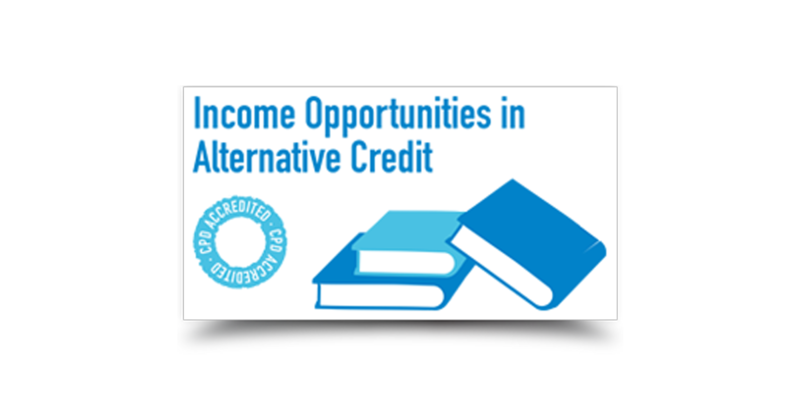 The budding universe of funds within the Alternative Credit universe includes areas of the market such as direct lending, asset leasing, mezzanine debt, peer-to-peer lending and SME loans. The first of its kind in London, it will bring together an audience of wealth managers, family offices, hedge fund managers, funds-of-funds managers, portfolio managers and other professional fund selectors and financial advisers who will be joined by industry experts and alternative credit fund managers. Participants will also benefit from a Continuing Professional Development certification. Join Scottish Enterprise and LendingCrowd at this not to be missed breakfast briefing for professional advisers, loan brokers, and SMEs on the very latest developments in alternative finance. Hear how Scottish Enterprise is partnering with LendingCrowd to stimulate alternative finance in Scotland, to substantially increase the supply of finance for SMEs, and the latest developments in alternative finance. You will also get practical advice on how SMEs can access peer-to-peer funding. We’re bringing together the Edinburgh community. 200 people will gather at the School of Informatics discussing with industry experts, the waves rolling in that will significantly change the financial services landscape, across the UK and globally. One star will be chosen to represent Scotland at the Fintech Finals in Hong Kong on January 18-19, 2017. We are delighted to offer you a free place on an invitation only, investment event hosted by Scottish Investment Bank, a division of Scottish Enterprise in partnership with Bank of Scotland, Close Brothers and Lending Crowd. These half day seminars will take place during November 2016 to increase the awareness of opportunities and the wide variety of debt funding options available to companies in Scotland. Understand what you you can do to enhance your debt raising ambitions. Doors will open at 8am for breakfast rolls, tea and coffee and the seminars will commence around 8.45am with the presentations and round table discussions finishing around 11am. There will be time for networking and one to ones with the presenters from 11am to 12 noon. Delegate numbers are limited, so to reserve your free place register online today by following the links above at the event location which may suit you best. Join us at Business In & Out of Scotland (BIOS) and learn more about LendingCrowd. 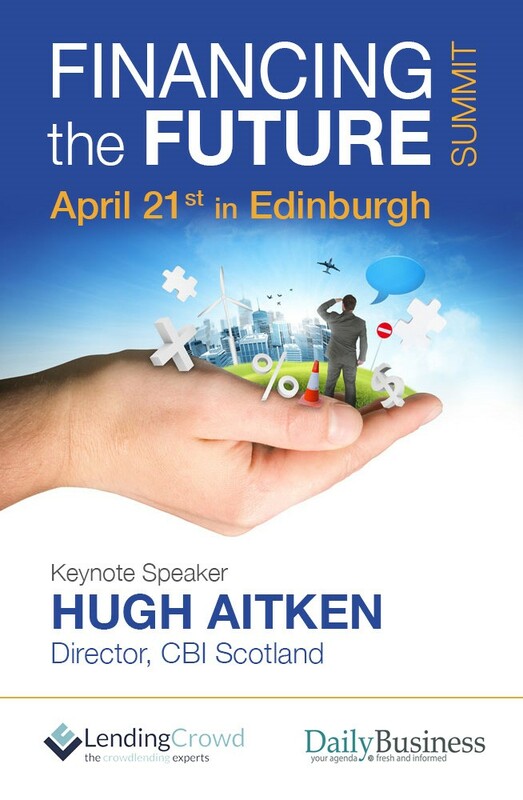 The BIOS conference is aimed at encouraging exports out of Scotland and imports into Scotland. BIOS is a place companies share experiences and learning about how they can grow their offering outside of Scotland. In association with CeeD, this free workshop brings together recognised experts in their own fields to tell us about four very valuable funding mechanisms that SMEs can use to fuel their R&D activities. Join our CEO, Stuart Lunn, for the fourth in a series of Scottish seminars arranged by IoD Scotland in response to requests from members for clarity on the range of funding sources currently available to support their business needs. The LendingCrowd team are very excited to be nominated for the Business to Business Award at The Herald Scottish Digital Business Awards for supporting SMEs in Scotland, and we are looking forward to celebrating at the Awards. Join Helen, LendingCrowd’s Senior Credit Risk Specialist, at this event to learn more about the latest funding options and how to access them. The most frequently asked questions by our loyal investors and borrowers. As an Investor it’s important to remember you’re lending to businesses so your capital is at risk. Borrowers need to be mindful that defaulting might lead to the debt being passed to an Agency for collection. LendingCrowd and its products are not covered by the Financial Services Compensation Scheme.